In 2017 a ‘Brexit window’ was predicted, whereby in the six to nine months leading up to the UK’s departure from the EU, UK-focused funds would be unable to raise capital. However, a slew of recent fund closes has shown UK-based managers continue to attract substantial investment. Against this seemingly conflicted backdrop, why are investors still backing UK private equity as the political, business and consumer landscapes descend further into uncertainty? The last two months alone have seen notable UK fundraises including Bowmark’s outstanding £600m close for its sixth fund; representing a 60% increase from its £375m predecessor. Even more impressive, the vehicle was raised within 10 weeks. And Bowmark is by no means alone. HgCapital closed its Hg Saturn fund on a whopping £1.5bn; Lyceum’s new iteration Horizon collected £200m; Terra Firma amassed €400m for a special opportunity vehicle; while Epiris attracted £821m for its first independent fund. What links all of the above managers is of course decent track records. But, first-time funds have also had their fair share of success in recent weeks. Circularity Capital closed its debut fund on £60m, £10m more than targeted; NVM raised its first institutional fund of £142m; while Stride.VC attracted £50m for its maiden seed vehicle. According to Jamie Butterworth, partner at Circularity, specialist focus and institutional quality were key components of the successful raise. Circularity focusses on businesses which drive value through enhanced resource productivity and can outperform traditional and increasingly outdated ‘take-make-dispose’ models of production and consumption. For investors, this kind of innovative and forward-looking approach is high on wish lists. Alongside LP demand for institutional quality funds with adequate operational resources, proper ESG policies and procedures, as well as decent levels of transparency. Circularity’s recent success backs this sentiment. The firm hired Jenny Boyd in July last year to head up its finance and compliance functions; an unusual appointment given the firm’s infancy. “It’s less glamorous than strategy and pipeline but it’s very important to LPs that firms continually seek to develop and improve processes and controls and checks,” explains Butterworth. In the UK, private equity’s maturity and sophistication lends both new and old managers a natural advantage in understanding the level of quality that today’s LPs are seeking, regardless of macroeconomic headwinds. 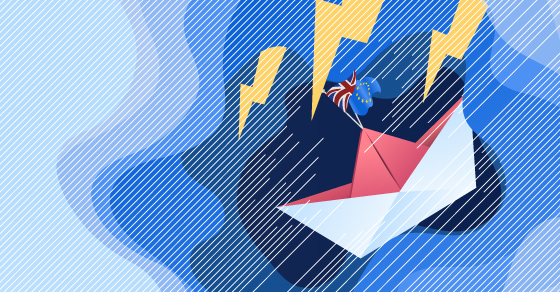 While seemingly endless headlines detail the predicted and emerging economic damage caused by Brexit, some believe it’s all too easy to use the confusion as a scapegoat for poor performance. He advises UK managers currently out in the market to concentrate their efforts on UK and European institutions, as they will likely have a better understanding of the complexities and possible opportunities brought about by Brexit. Biagioni points to NVM’s model and focus on the lower mid-market as key attractions for US investors. However, another motivation could be the long-term view on exchange rates. Ongoing political turbulence in the UK has majorly impacted currency. But, Sterling’s depreciation has effectively priced in a 20% uplift, which in turn can be used to protect downside risk. Despite the UK government’s disorderly Brexit preparations, UK private equity managers clearly remain attractive investment destinations. Perhaps somewhat surprisingly, there is a growing sense that withdrawal from the EU is making the UK private equity market more attractive, in the short term at least, thanks to easy currency wins and the expectation of a pricing correction. Indeed, even first-time managers – albeit those delivering on LP demands including sustainable strategies, innovation and robust operations – are raising impressive sums against the looming March 29 deadline. Whichever way you cut it, the UK remains one of the most advanced, creative and toughest private equity markets in the world, brimming with top class managers, advisers, intermediaries and lenders. Most attractive of all, UK SMEs account for 99% of the overall business landscape, generating a combined turnover of £2trn and growing. “Investors view the UK market as having a well-established investment industry, particularly in the private equity sector, with plenty of opportunity to be had,” concludes Butterworth.